With HBO out of the boxing business, some of the sport’s biggest stars have been left without a home. For former middleweight world champion Gennady Golovkin, it leaves him without a broadcast home. ESPN’s Dan Rafael reports that GGG will likely choose either ESPN or DAZN, and a decision should be made before year’s end. According to Rafael, Golovkin is being aggressively courted by ESPN (now the home of Top Rank after being on HBO for decades) and DAZN. 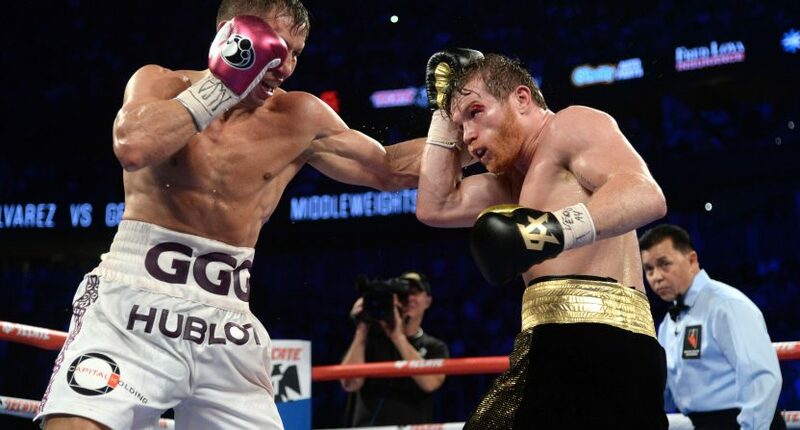 GGG’s exclusive contract with HBO ended after the September 15 fight with Canelo Alvarez. Now a free agent, Golovkin can pretty much call his own shot, especially with HBO quitting boxing. In October, DAZN signed Canelo to a five-year, $365 million deal that will encompass 11 fights. It means his fights will now exclusively stream online on DAZN rather than on pay per view. His contract begins on December 15 with a fight against Rocky Fielding, and it certainly gives GGG some food for thought because DAZN certainly has the money and a different advertising model to draw revenue. Loeffler said he plans to meet with Kazakhstan native Golovkin (38-1-1, 34 KOs), 36, in the coming days in Santa Monica, California, where they both live, to present him with the offers on the table and to discuss the merits of each. No matter what happens, GGG will get a huge payday and the potential for a long-term contract from either ESPN or DAZN. Plus, he’ll have a new platform to showcase his fights. In other boxing news, Deadline reports that Showtime will be offering this Saturday’s heavyweight bout between Deontay Wilder and Tyson Fury online through the Showtime app. The fight will also be on pay per view, but fans will be able to access it on the app via Apple iOS devices, Apple TV, Amazon Fire TV, Android, and through TV Everywhere log-ins. The fight is available to subscribers and non-subscribers for $74.99 online. Non-subscribers will get a 30-day free trial on the app. This won’t be a one-time deal, as Showtime plans to stream the Manny Pacquaio-Adrien Broner fight on January 19. As 2018 ends, the way we watch boxing continues to evolve.